5 Steps For Selling Gold Jewellery - Mummy's Gone Mad! | Mummy's Gone Mad! Selling your gold jewellery may not make you quite as much money as what your pieces were worth new, but you could try to maximise the value you get from your scrap gold jewellery. Below, we have outlined a few guidelines that will help your find the best possible prices for your gold pieces. It is important to understand what your gold is worth before you start looking for buyers and taking offers. The first step is to know the item’s karat. Dividing that number by 24 gives you the fraction of the item’s weight that is pure gold. You can see scrap gold prices online to calculate its value. The next step is to take a look at your pieces and determine if any are likely to have some additional value. For instance, you may be able to sell a piece as an antique, which will in turn fetch a higher price than scrap gold value. Before you start accepting or rejecting offers, decide if you would prefer cash for your jewellery or a barter deal. Some jewellery stores might be happy to offer you store credit rather than cash. You could post ads online to sell your scrap gold jewellery. Take a few pictures of it and make sure it looks presentable, so you find the maximum selling price. Another way to get a good price is to offer your gold pieces at an online auction. This is a great option for collectibles and vintage jewellery. Regular pieces are less likely to sell for more than what the price of their gold content is, but you can always try and see what offers they fetch. Ask a few reputable gold dealers for quotes or check out their websites to see what prices they are likely to offer. Typically, dealers buy the jewellery for the metal content, so they’re not going to offer more than what you might fetch at an auction. If you want to exchange your items for new jewellery, check out the deals at your local stores. Finally, never rush to sell your scrap gold jewellery to a single buyer before you have collected offers from as many places as possible. 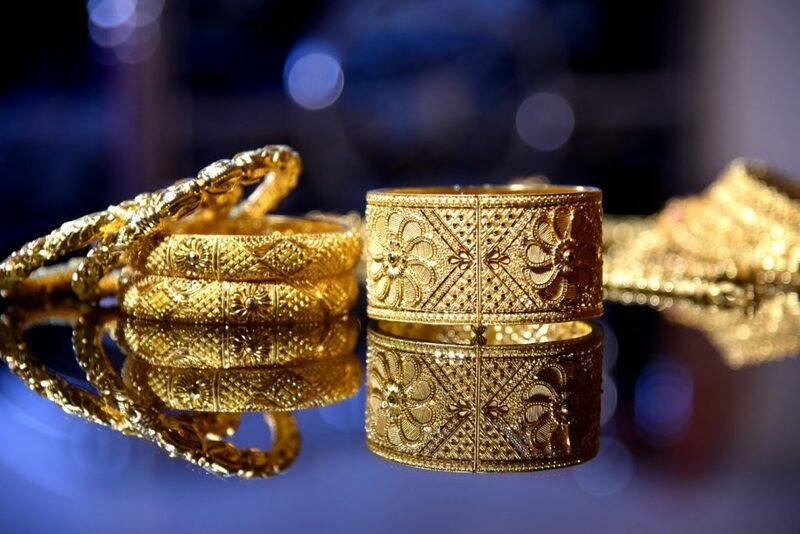 Then, consider all the offers you get online, including potential shopping fees, the price gold dealers offer, and any values of deals offered by jewellers. From there, make your decision and make sure you have carefully weighed all the pros and cons to ensure you get the best possible price for your jewellery.